Shabran, once a city of remarkable resilience, was rebuilt many times after attack and invasion. Located on the road leading to the main tourist destinations in the northern part of the country makes this historic place more attractive for tourists. At that time, Shabran city was one of the major political and commercial centers of Azerbaijan. Today more than 150 historical and cultural monuments of different monuments have been discovered on this territory. In 2011, Shabran was proclaimed "the capital of the legends of Azerbaijan". Due to archaeological heritage Shabran also known as lost city among visitors. This year 15 percent of those who have been familiar with the ruins of Shabran are foreign tourists. Statistics also shows that about 2,000 tourists visited Shabran City Historical Reserve this year. One of the key moments of tourists' attention is revealing of the prison where Khagani Shirvani was detained during excavations at Shabran City Historical Reserve. Thus, Khagani Shirvani was exposed to unfair attacks of Palace poets and forced to leave Shirvan under the pretext of visiting Mecca in 1156. Khagani was arrested while attempting to go from Shirvan and detained in Shabran Tower for 7 months. The ruins of Shabran, which covered more than 40 hectares, were registered for the first time as an archaeological site in 1935. It is also planned to build a museum to display collected exhibits from the reserve area in the future. 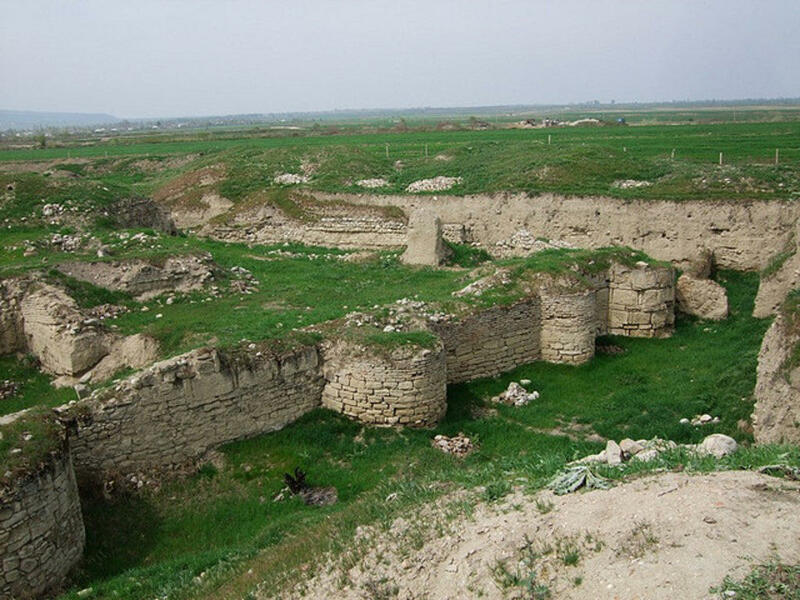 Shirali Shiraliyev, the employee of the Shabran City Historical Reserve said in the future it is planned to create a complex on the ruins of the ancient city. This will create more opportunity to attract local, as well as, foreign tourists. A special action plan is being drafted to transform the historic area into one of the key tourism centers in the region. Booklets, brochures and discs written in Azerbaijani, English and Russian will be available to inform tourists visiting the reserve. The territory of the ancient city of Shabran has been declared historic-architectural reserve in 2003. Studies on the reserve are of exceptional importance in terms of deeper studying of the history of Shirvanshahs, which has existed for 677 years and the history of Azerbaijan as a whole.